Come on our 13 day Coastal Cruise Expedition in 2019! 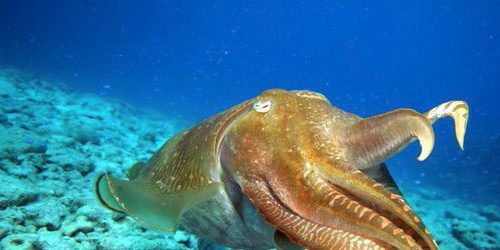 Diving, snorkelling, fishing, coastal cruising – Rowley Shoals, Monte Bellos, Exmouth, Shark Bay, Abrolhos, Geraldton, Fremantle. Our 2019 Coral Coast Cruise is very popular so be sure to book early! Experience the cruise of a lifetime and let your crew use their years of experience and passion for West Australia’s coastal secrets, show you the best WA has to offer! Transfers to and from the vessel are included. This cruise departs from Perth (with a luxury coach ride to Geraldton to meet the vessel in port). After discussion on board with you – our guests, your experienced Cruise Director will consider the best tides and weather conditions to develop your cruise plan and provide for an unforgettable tailored expedition for you and your fellow explorers. We aim to give you the ultimate WA coastal cruise. The following itinerary is a guide. You certainly will not be disappointed. Your expedition begins this afternoon in the Midwest City of Geraldton. A charter coach will deliver you to our vessel in Geraldton. Our crew will welcome you aboard this afternoon, introduce you to your cabin and give you a detailed briefing. Tonight we enjoy our first meal and a drink aboard whilst anchored just off Geraldton’s town beach. We pull our anchor at 6am and steam West to the Easter Group of the Abrolhos Island. Discovered and charted by the Portuguese in 1619 and aptly named. Abrolhos means – “Keep Your Eyes Open”. Comprising 3 main island groups. Many of the 122 islands were heavily mined for Guano over a hundred years from 1844. 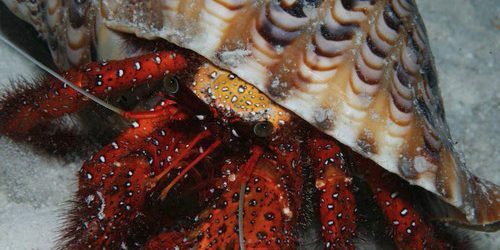 While they are still home for thousands of beautiful and rare sea birds the islands are currently supporting a thriving cray fish industry from the 15th March to the end of June each year. Today we can snorkel or dive on the beautiful Anenomi lump – one of the best dive sites in WA. This afternoon we fish for today’s target species (and dinner) the Blue Bone Grouper. We’ll grab a mooring sheltered by a small island, which provides sanctuary for a colony of Australian Sea lions. As the sun sets we can visit their island and share a memorable moment on the beach talking to these delightful puppies. This morning, during a tasty breakfast, we steam north to the Wallabi Group of Islands. If the weathers on our side we hope to have snorkel or dive on the Batavia wreck. In 1829 this Dutch vessel on her maiden voyage hit Morning Reef. The events that followed make an unbelievable tail. After our discovery of the wreck site we can steam to turtle bay and walk on West Wallabi Island to the site of the earliest European structures on Australian soil. The soldiers of the Batavia built stone forts to protect themselves from the murderous Mutineers. Well take you to the site of these forts whilst looking for the Tammar Wallabi and pythons. This evenings target species is the Pink Snapper. The skipper knows a drop off that’s usually home to a school of Pinkies. This morning we arrive inside Steep Point for a snorkel or dive around Monkey Rock. Some may wish to stay on the surface and try their luck for a mackerel – todays target species. We’ll cruise north up the inside of West Australias largest island. Dirk Hartog Islands is 80 kms long. The island was discovered on 25 October 1616 by Hartog in the Dutch East India Company (VOC) ship Eendracht from Cape Town to Batavia (Jakarta). Hartog inscribed his name and the date on a pewter plate and nailed it to a post. In 1697 the Dutch captain Willem de Vlamingh landed on the island and discovered Hartog’s plate. He replaced it with one of his own, which included a copy of Hartog’s inscription, and took the original plate home to Amsterdam, where it is still kept in the Rijksmuseum Amsterdam. Well anchor at the top end of the island just beside the site of Dirk Hartogs landing. We’ll enjoy our chefs delights here then perhaps a drink or two under the stars on the upper deck. Departing Turtle Bay early we steam north past Bernier and Dorre Islands. Rising sea levels and wave erosion some 8 000 years ago left Bernier and Dorre Islands separated from the mainland and inaccessible for Aboriginal occupation. Dirk Hartog’s voyage in 1616 represents the first known landing on the islands and in 1696 William de Vlamingh surveyed and named Dorre Island from the Dutch words ‘Dor’ meaning dry or barren. The natural harbour of Cuvier is our next high light. Sheltered within high rocky cliffs lies a salt port. Feel free to drag a lure as we continue our cruise past Coral Bay and into the evening. This morning we awake as we steam past the Norwest Cape lighthouse. Today we have the option to steam down into the Gulf and spend a few hours exploring Exmouth or head straight for the Mackeral islands. Either way we’ll enjoy a very sheltered overnight anchorage at Serrurier Island – 40Nm northeast of Exmouth. Departing our little island paradise we sail through the industrial islands of the Pilbara making our way to the heavenly Montebello Islands by tonight. The fishermen will be keen to drag a lure while we head north east. Good chance of a charging Spanish mackerel for the patient. Tonight we arrive and anchor within the shelter of 174 beautiful little islands. The crews favourite destination. Two days will never do the Monte Bellos justice. From the mangroves to the ornate crayfish and perfect little sandy bays. The Montebello islands were the site of three nuclear weapons tests by the British military: one in 1952, and two in 1956. A bay on Trimouille Island was the site of Operation Hurricane, the first ever atomic weapon tested by the United Kingdom , on 3 October 1952. Fallout from the Montebello tests is reported to have contaminated areas of mainland Australia as far away as Queensland. We can explore the, now safe, site of these blasts. Be it fishing, snorkelling, diving or just strolling the perfect isolated beaches the Montes are our playground for the next 2 days. We depart our playground today to cruise to the Rowley Shoals. The Rowley Shoals were so named by Captain Phillip Parker King in 1818 in honour of Captain Rowley who first sighted the ‘Imperieuse’ reef in 1800. The Rowley Shoals have been visited by fishermen from Indonesia, since the mid-18th century. The Indonesian fishermen were collecting or hunting for trepang, turtle shell, trochus shell and sharkfin. The Rowley Shoals are a chain of coral atolls on the edge of one of the widest continental shelves in the world. The three pear-shaped atolls have shallow lagoons inhabited by corals and abundant marine life. Each atoll covers an area of around 80 to 90 square kilometers. The Shoals rise with nearly vertical sides from very deep water. Mermaid Reef, the most northerly, rises from about 440 meters, Clerke from 390 meters and Imperieuse from about 230 meters. The Rowley Shoals is an opportunity to experience a diverse array of snorkelling and diving environments including lagoons, canyons, sheer vertical walls, high speed drifts, night dives and snorkelling. You can experience the swimming pool like condition 300 km’s from the nearest land. The coral atolls of the Rowley Shoals are famed for their almost untouched coral gardens, giant clams and other shellfish. Giant potato cod wait to be hand fed and follow divers around, while colourful reef fish show little fear, and trevally, mackerel and tuna hover in schools. 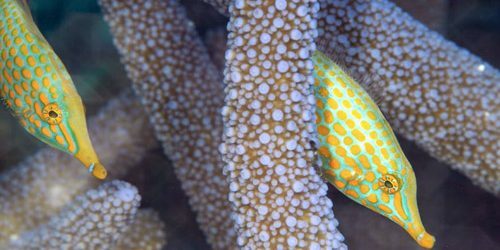 Rowley Shoals are among the few reefs in the world affected by a high tidal range. The dramatic five meter tides pour massive volumes in and out of the coral framework and have created unearthly and enchanting coralscapes. The turquoise lagoons are filled with coral bommies brimming with exotic tropical fish and unbelievably colourful formations. Drift diving in and out of the atolls sweeps you through pristine reefs with, maori wrasse, barracuda, potato cod, morays turtles and many shark. Today you may wish to join a fishing expedition or beach comb the sandy cay within the atoll, however we recommend you join the some of the crew to snorkel or dive three channels that feed the interior of these pristine atolls. 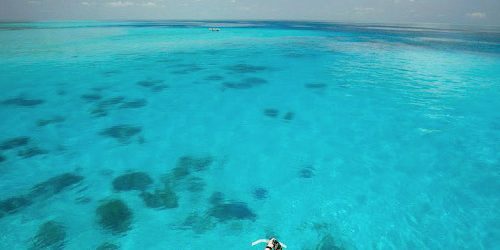 The crystal clear waters pouring in and out of these channels make a thrilling ride for divers and snorkelers. This afternoon we steam to the Mermaid Atoll. Pending tides we have an amazing dive for you at the Cod hole. On the edge of the channel feeding the interior of the coral atoll lies hundreds of fish and sharks waiting to greet us. Enjoy a hearty breakfast before your first dive on the outer reef. There’s plenty of time to explore diving country along the outer reef including “Mermaid Wall” and “Mermaid Caves” with the possibility of seeing a sailfish or humpback whale display its acrobatics in all its glory..
No fishing here we’re inside a marine park. Dive or snorkel one of the many walls and gutters that await within the clear waters of Mermaid Reef. This afternoon we begin our over night steam back into Broome. Optional experiences including meals ashore in Exmouth. Come on, this 13 day coastal cruise is just what you need!